Oh dear. 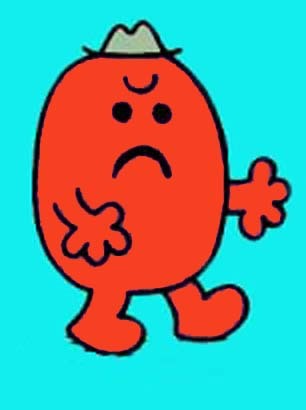 Mr Angry in Cayman is upset over last night's Dispatches programme. He has commissioned a hired gun called Jack Irvine (who describes himself as a media and political adviser to Cayman Finance) to write nasty things about us. This seems to have been circulated quite widely in London, and probably elsewhere - several of our contacts received it. Irvine's article, published in full below, is so riddled with nonsense that we can only hope that UK taxpayers aren't paying for it (see here to understand why this might be the case). His comment about TJN being a two man affair is particularly risible, not to mention being insulting to the many different organisations around the world who work with us. The fact that we are influential while being a small organisation is simply testament to the power of ideas, in the face of a wall of money. What is more, we would like to draw attention to a pattern here, which we have long noticed: our critics so often avoid the substantive issues themselves and instead focus on making ad hominem attacks - not just against ourselves, but against anyone who opposes the offshore view. Read it - it gives an example of the kind of thing we face, as a matter of routine. Anyway, once you've read Mr Irvine's copy, please also take a look at the following assessment of Cayman secrecy and judge for yourself whether its financial centre is transparent and cooperative. Channel 4 – Cliché and class prejudice - click here to read it.